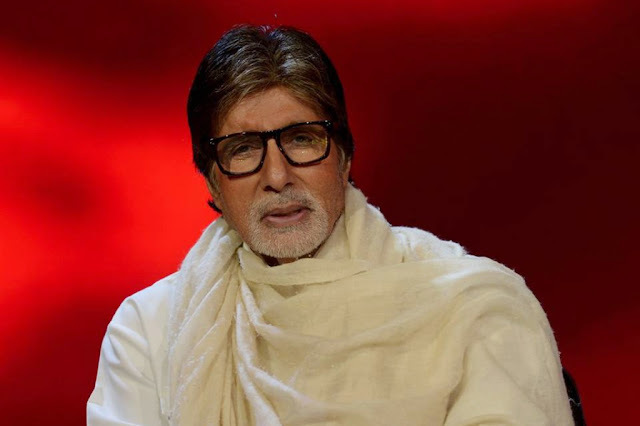 Amitabh Bachchan is an Indian film actor, producer, singer and television presenter. His born name is Amitabh Harivansh Rai Shrivastava Bachchan. He has won numerous accolades in his career, including four National Film Awards as Best Actor and a total of fifteen Filmfare Awards. He was honoured with the Padma Shri in 1984, the Padma Bhushan in 2001 and the Padma Vibhushan in 2015 by the Government of India. He is widely regarded as one of the greatest and most influential actors in the history of Bollywood film industry. Amitabh Bachchan was born on 11 October 1942 in Allahabad, United Provinces (now Uttar Pradesh), British India to Harivansh Rai Bachchan and Teji Bachchan. His father was a well-known Awadhi dialect-Hindi poet and his mother was a Khatri-Kshatriya Punjabi Sikh. He has a younger brother named Ajitabh Bachchan. He studied at Allahabad's Jnana Prabodhini and Boys' High School. Then he went to Nainital's Sherwood College, where he majored in the art stream. He later went on to study at Kirori Mal College of the University of Delhi and completed a Bachelor of Science degree. After completing his studies he moved to Bombay to find work as a film star. Amitabh Bachchan made his film debut in 1969 with the National Award winning film Bhuvan Shome, as a voice narrator. The same year, he made his first acting role with the movie Saat Hindustani, directed by Khwaja Ahmad Abbas and featuring Utpal Dutt, Anwar Ali, Madhu and Jalal Agha. In 1971, he was starred as supporting role in the film Anand, with Rajesh Khanna which again gave him a Filmfare Best Supporting Actor Award. Then he played his first negative role in the movie Parwaana. In 2013, Bachchan made his Hollywood debut with the movie The Great Gatsby, in which he played a non-Indian Jewish character, Meyer Wolfsheim. Amitabh Bachchan married to actress Jaya Bhaduri in 1973. The couple has two children; their daughter, Shweta Bachchan Nanda, is married to industrialist Nikhil Nanda and son, Abhishek Bachchan, is also an actor and is married to actress Aishwarya Rai. 2009 Paa, Aladin, Zor Lagaa Ke...Haiya!